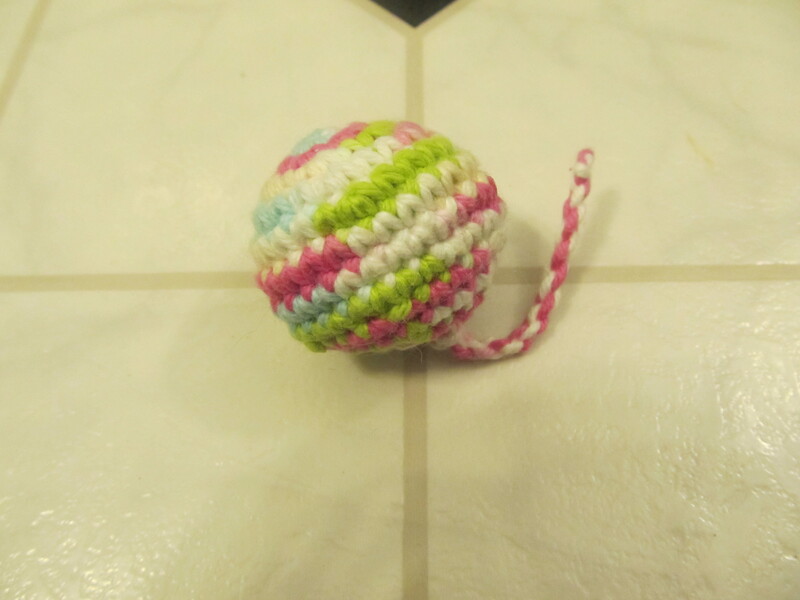 I had no idea that these were knitting stitch markers and really wouldn’t work for my crochet projects. I tried everything I could think of to use these damn things. They’re slightly flexible so I tried squishing them and sliding them under my stitches. I knew they shouldn’t loop under my stitches because I wouldn’t be able to get them out without cutting them, but I tried anyway. Needless to say, it was a very frustrating process and looking back on it I have to laugh at myself for being such an idiot. 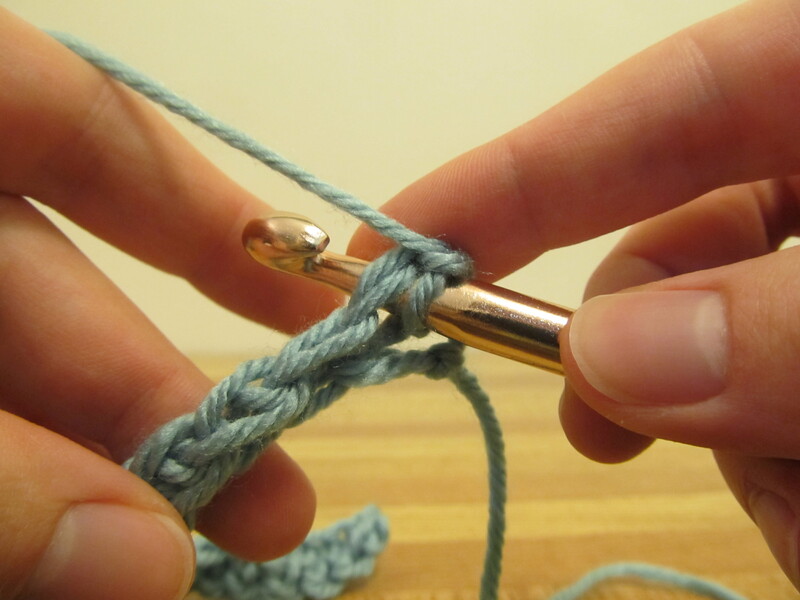 Here’s a step-by-step guide to the extended single crochet stitch, as used in my Granite Stitch Scarf. 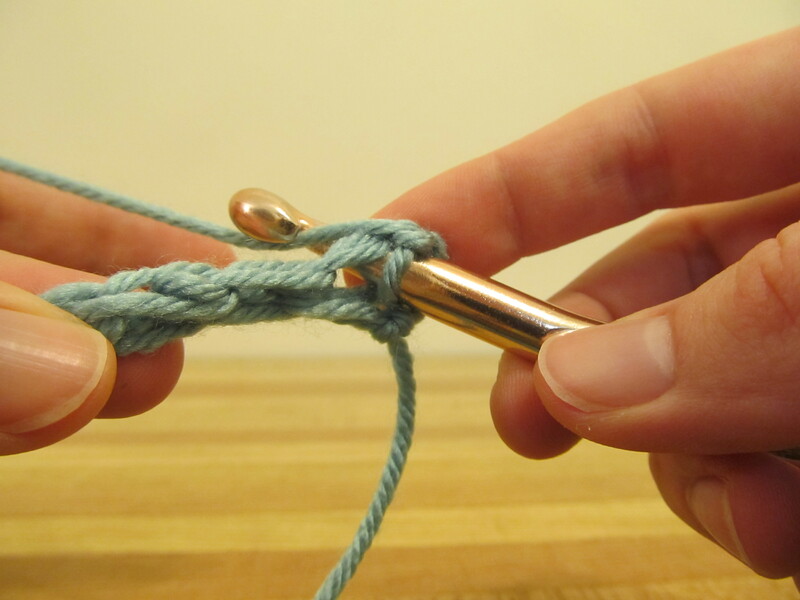 The extended single crochet (esc) is just like the single crochet stitch with an extra step. I used a big hook for clarity, so the finished stitch won’t be this loose if you use the proper hook for your yarn. Now if you’re alternating between esc’s and ch-1’s, like in my pattern, the next step is to chain 1, skip 1 stitch, and esc in the next — continuing until the end of the row. In this pattern, you always start and finish your row with an extended single crochet, so on the next row (i.e. row 3 of the pattern and all odd rows) you will have 2 esc’s at the start before chaining. In the picture below, the first esc has been done and the black arrows indicate the chain-spaces where the extended single crochet stitches go into. After a few rows, this is what it should start to look like. Notice that the esc stitches are offset, like mesh, or a checkerboard pattern. Please let me know if you have any questions or if anything is unclear.